I was privileged to open the new Engineering Centre at Bournville College yesterday. With state of the art equipment to teach the practical, hands-on skills that employers are always looking for, the centre will initially offer students the opportunity to acquire qualifications from Level 1 to level 3 with potential for university-partnered courses up to level 5 being available – probably as early as next year. Engineering is in the DNA of Longbridge. Its name has been synonymous with motor manufacturing for over one hundred years. 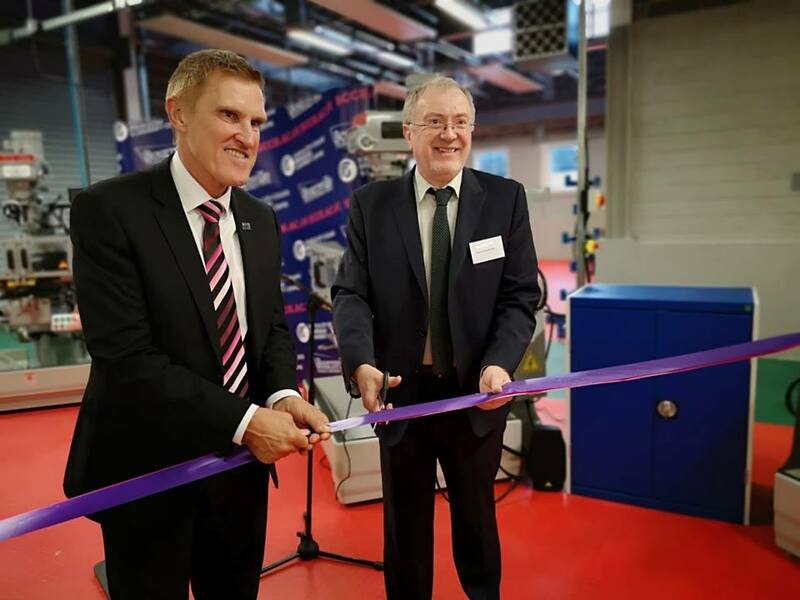 The new centre at Bournville College both celebrates that heritage and demonstrates how world-class engineering can be as much a part of the area’s future as its past. Although cars are no longer assembled at Longbridge, three hundred skilled engineers work at the SAIC Technical Centre today designing and develop the motor vehicles of tomorrow. They are part of the same industry that still employs thousands of people working for major car companies from Jaguar Land Rover to Toyota and BMW in the West Midlands, and more beyond, and for hundreds of specialist component and other companies across the country. Together they ensure that the UK is once again recognised as world-class in automotive. They are developing a future for automotive that is radically different from anything seen before – one of ultra-low or zero emissions, and where in-car information systems enable us to make smarter choices about how to get about – including when it makes more sense not to use a private motor vehicle to do so. Increasingly, motor vehicles will be capable of autonomous operation to the extent that even what we mean by driving will change. Turning these innovative ideas into reality in ways that change the way we live is what engineers do. The UK urgently needs more engineers at all levels. They are more important than ever to find solutions to the huge technical challenges that the future holds – in automotive and in the entire spectrum of industries and sectors that drive a modern economy. Bournville College’s Engineering Centre at Longbridge provides the opportunity for local young people to be at the heart of this innovation, opening up opportunities to embark on great careers in modern engineering and manufacturing. It is also great to see the emphasis that the College is putting on demonstrating that those opportunities are every bit relevant to young women as they are to young men. Small and independent shops in and around Northfield are an important part of the character of our local area. They provide employment for many local people and are a vital part of our economy locally. So I am asking Northfield’s small shopkeepers to enter the Best Small Shops Competition 2018 which celebrates the creativity of small shops and the central role they play in their local communities. I would also encourage local residents to consider the contribution that small shops make to their local community by making their favourite shopkeepers aware of how they could take the prize of Britain’s Best Small Shop. The competition is open to any small shop operating in the UK and is free to enter. Shopkeepers can nominate their business until Sunday 9th September via www.bestsmallshops.co.uk. A panel of representatives from the independent retail industry will then shortlist 25 of the most impressive applications who will be invited to a Parliamentary Reception to crown the Best Small Shop for 2018. Small shops are part of what makes our area tick and it would be great to see some local business from Northfield receiving the recognition they deserve at the national level.